Scandic is the leading hotel operator in the Nordic countries today. Just over 10 years ago Scandic started its journey towards making its hotels more accessible for people with disabilities. On top of this a wide-ranging interactive training programme has been developed for all the hotel chain’s employees with the aim of fostering an understanding of different types of accessibility challenges and the importance of treating all guests properly. This approach has seen Scandic giving itself a unique position unmatched in Sweden or abroad. In late 2013 Scandic took the next step in making its interactive training on its own website openly available, helping to improve awareness among the general public. “Every day we see people from outside Scandic completing our training on the website. Receiving an award for this is the icing on the cake and something that makes us particularly proud. 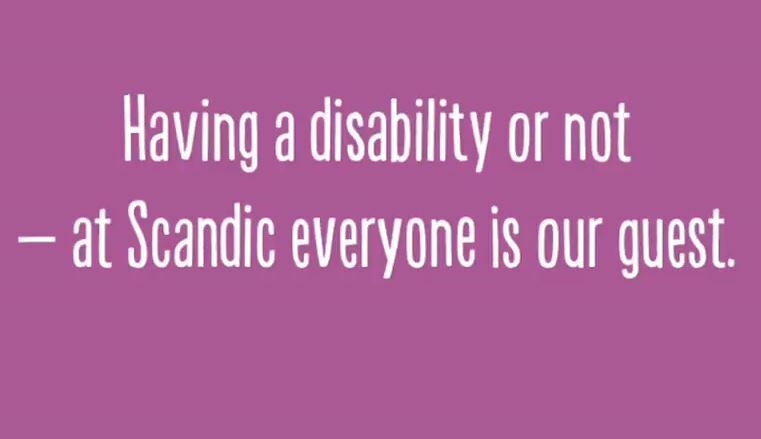 It shows that the issue of accessibility is an important one,” says Scandic’s Director of Accessibility Magnus Berglund. In the Swedish E-learning awards Scandic won in the category “Best e-learning profit-making business” in Sweden. Scandic also won silver for the best e-learning product in the British E-learning Awards, amid the tough competition of 250 international entries.